Show of hands: who remembers when there were only five channels to watch on TV? That certainly shows your age! Today, you can sign up for a cable television package that has literally 200+ channels of programming with more being added every day. You also have all your programs on your DVR and digital streaming available. Bottom line: you’ve got plenty to watch! The goal is to make sure you’re watching your favorite programs on a great television. If you haven’t upgraded to a flatscreen HDTV, then you’re missing out. Are you ready to make the switch? Then you’re ready to call Junk King Jacksonville to take care of your old television disposal. 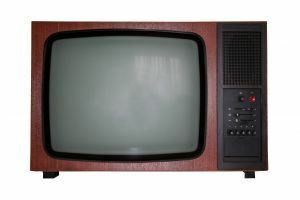 An old television is a lot like an old computer. Those are both things that can be tossed out into the trash. They follow the category of e-waste. This is anything electronic that has to be dismantled at a certified recycling facility. You may be hard-pressed to find one of those facilities in Jacksonville. Even if you do find it, they aren’t always open at the most convenient hours. Junk King Jacksonville won’t be recycling your old television but they’ll make sure it gets to the place that can handle that. It’s all part of their complete junk hauling service. Along with getting rid of your old television, you can also put Junk King to the task of removing the rest of your unwanted clutter. This is a great opportunity to finally clear out your closet of all the things you know you’re never going to use again. That includes outfits that don’t fit, shoes that are worn out and sporting equipment that will be played on. Just think of how much room you can get back once all of that is cleared out. Junk King Jacksonville operates with a very simple principle: they do all the work. The two-man crew who will be assigned to your session will show up with a very friendly attitude. There also great at solving problems. It doesn’t matter how heavy something might be. They’ll find a way to safely get it out of your front door. Don’t let your old television and clutter fill up your house. Give it all to Junk King Jacksonville today. This entry was posted in Jacksonville junk removal and tagged junk King Jacksonville, junk removal, old television on June 27, 2017 by Junk King. Last updated June 27, 2017 .